This charming brick 4 bedroom/3 bath home is walking distance to Biltmore shopping center and many trendy restaurants. 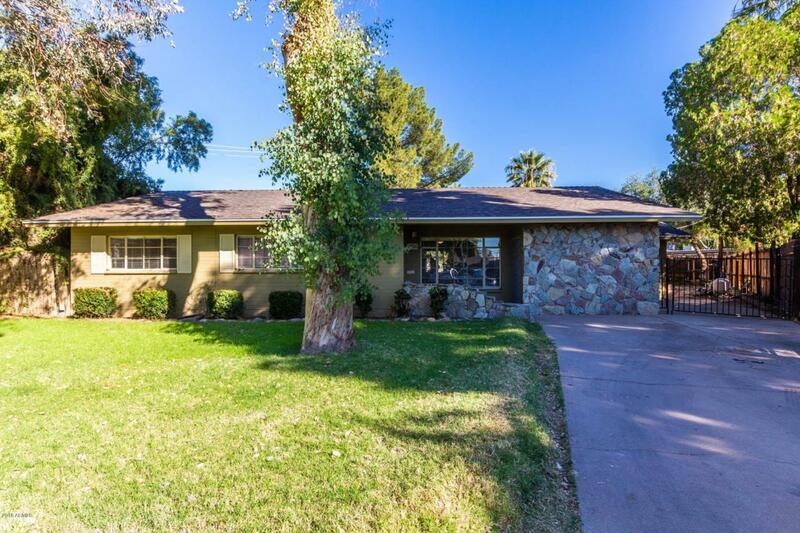 Home is centrally located in the highly desirable Camelback Corridor. This home sits in a quite cul de sac with minimal traffic and noise. It has split guest headquarters with a full second kitchen. Huge backyard features a large pool and shed. Master has newly remodeled walk in custom closet. Nice large kitchen with a sit in breakfast room with view of beautiful original brick fireplace.